Why hire a professional pool maintenance company? Having a pool is a luxury that must be maintained. If you do not take care of your pool, you could be signing yourself up for even more work. Granted, handling pool maintenance on your own is not too hefty a task, but most people outsource this work to professionals. 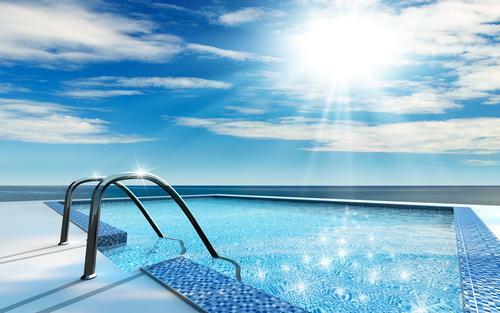 A pool company can handle all your repairs, installations, and preventative maintenance. Not only are they equipped with the highest quality tools but they are trained to handle tasks timely and professionally. A lot of pool owners opt to have weekly preventative maintenance done to avoid costly repairs before they turn into tentative costly problems. During their scheduled visits, the specialists will test and balance the water. Doing this they will balance out the chemicals and chlorine in the pool. Chemicals are necessary to keep the water clean… and more importantly, to keep swimmers safe. On top of balancing the water they will clean the filter and baskets. It is important to clean the filter and baskets because they are what catches objects and leaves floating in the pool. Often times toys are found in the baskets and filter! They all inspect and lubricate o-rings. The most noticeable weekly services that pool owners appreciate are the deep cleaning steps. The “pool boy” will brush and vacuum the walls of the pool cleaning all the gunk and grime that has built up. They will clean the tiles and skim the surface of the water to snag up any floating leaves, bugs, and any other unwanted objects. For those looking to revamp their pool or have moved to a new home that needs a fix, a pool company can also help. Aside from taking care of the everyday grime of having a pool, they can help renovate and resurface! They can handle any updates or upgrades for outdated tiles or areas that are pealing and could be potentially harmful to swimmers. Of course the professionals are there for you if you need repairs. For leaks or broken or new pump installations, a technician is able to fix the problem quickly and get you back in the water. Having a pool does not come without responsibility. Keeping up with maintenance and handling repairs is not something every homeowner has the time or training to do. To make sure you get the most out of your investment, consider hiring a local pool company. Not only can they keep your pool in its best condition, they can keep it a safe swimming environment.